On Wednesday evening, we kicked off our Digital Platform series for 2018 with our eHealth meetup. While eHealth is a fairly broad term covering the use of information and communication technology in the health sector, Scotland is leading the way with innovative businesses in the industry who are working with and developing pioneering technologies to help address the growing challenges faced by the UK’s health services. 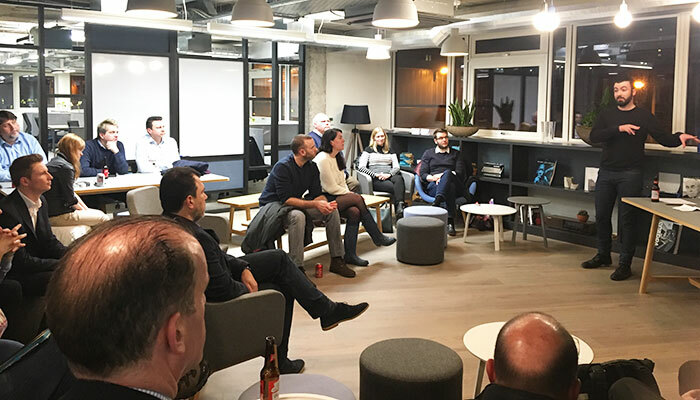 Nine Twenty Technology and Big Partnership were delighted to welcome two such companies, Organised Health and Dogfish Mobile, to share their insights and experiences with our audience. 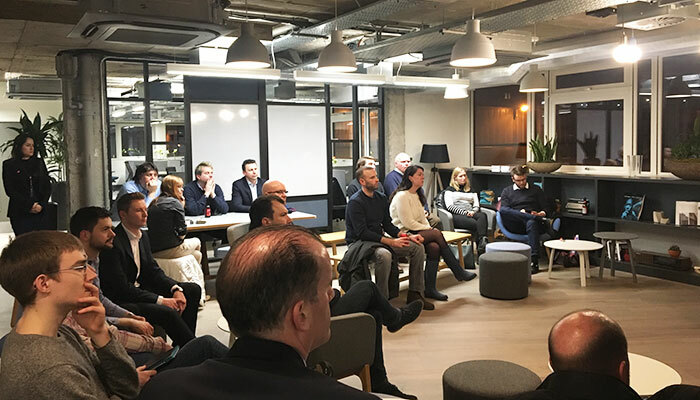 We were really pleased to see a good turnout in spite of the snow, so after some networking and drinks (plus a few rounds of Diet Coke for those still hanging in there with Dry January), Ross Tuffee, Founder of Dogfish Mobile took to the floor. Based in Stirling, Dogfish are a well-established brand with a reputation for problem solving via mobile solutions. Their hugely successful Sugar Smart App, built for Public Health England, scans product barcodes to help consumers discover how much sugar is in their food or drink. The results were off the scale, with almost 3 million people downloading the app since its launch. Ross explained how he and his team at Dogfish proved that app technology can be utilised to positively impact behavioural change, leading to a healthier future for the UK. 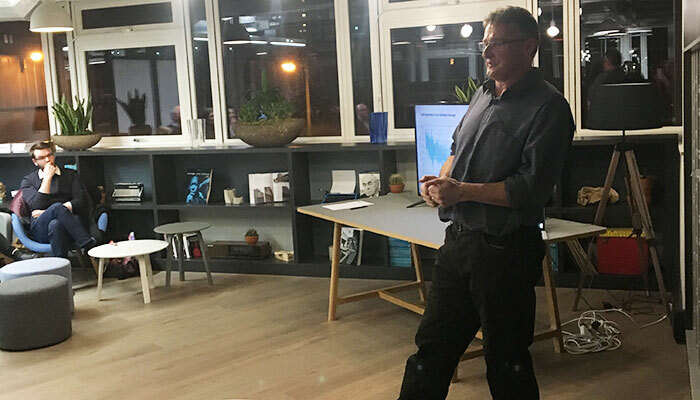 Ross then gave us an exciting insight into what’s next – the use of chatbots to help modify behaviours in areas like giving up smoking or alcohol addiction. The levels of sophistication of chatbots is such that they can be built into multiple channels and be used to build relationships with users in a similar way to counselling, something that Dogfish believe will further revolutionise the sector. Next up, we heard from Daniel Reilly, CTO at Organised Health. Daniel spoke about the challenges of running a startup and competing against the larger businesses in the industry, as well as the issued faced with working in what has traditionally been viewed as a paper-led and non-digital sector. Organised Health are in the process of launching an innovative mobile app, which is a digital pharmacy solution for NHS patients ordering and delivering repeat prescriptions. 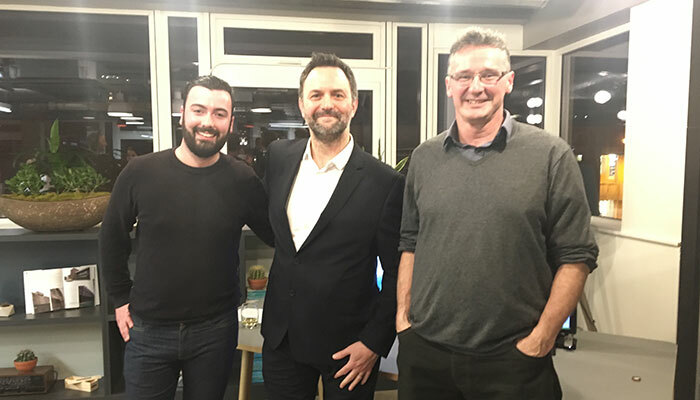 The Digital Platform’s insight into the world of eHealth was a really interesting experience, and we can’t wait to see what’s next for Dogfish Mobile and Organised Health. Thanks to our speakers and all those attending, and keep an eye on our Facebook where we’ll be launching our February event soon!